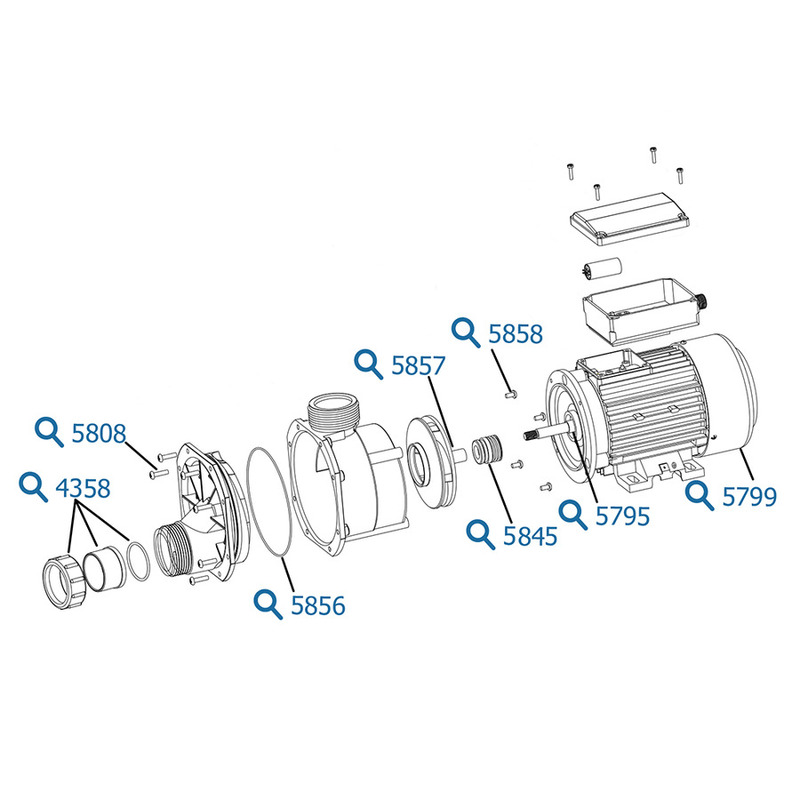 The EA450 is a self drain centre dischage pump. 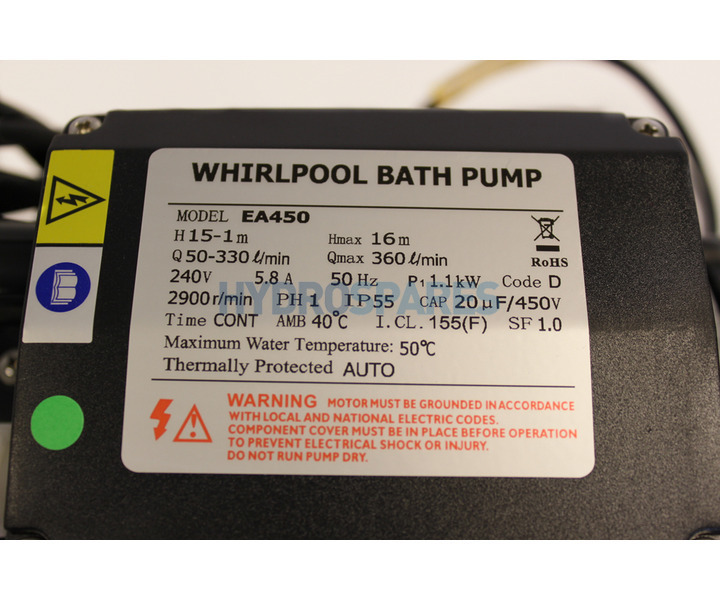 It would be most commonly used as a circulation pump on hot tubs and swim spas but can also be found fitted to many whirlpool baths as well. Note that LX pumps are no longer fitted with air switches. 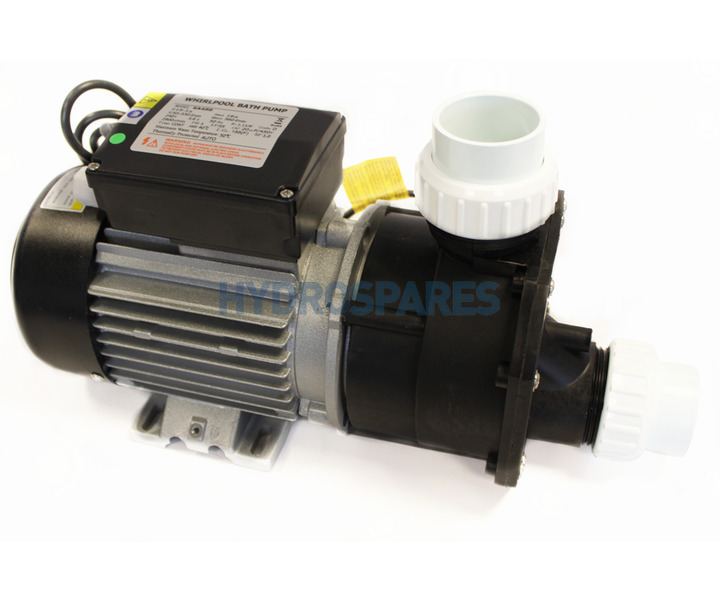 Air switchs or pneumatic control boxes can be fitted by a qualified electrician to these pumps.